It’s taken me longer to sit and write this update. Plus rounds seemed later than previous. In the night Hana had a fussy episode. Overall her heart rate is lower than it has been but she still has adequate blood pressure. They restarted her breastmilk feeds overnight. She is getting tons of electrolyte replacement and they are considering taking her off of one of the three diuretics she is on. Overall they feel she handled the trauma of removing the breathing tube, struggling to breathe, then having the breathing tube put back in, really well (her mom, dad and two grandparents did not handle it very well). They are going to switch her from fentanyl to morphine and up her feeds again today. The big question is what kind of imaging should they do now. They want to take advantage of her being intubated. They had a discussion between MRI, CT scan or a cath. I think they are leaning towards CT scan, especially since it is less invasive. She could have the imaging done as early as today. 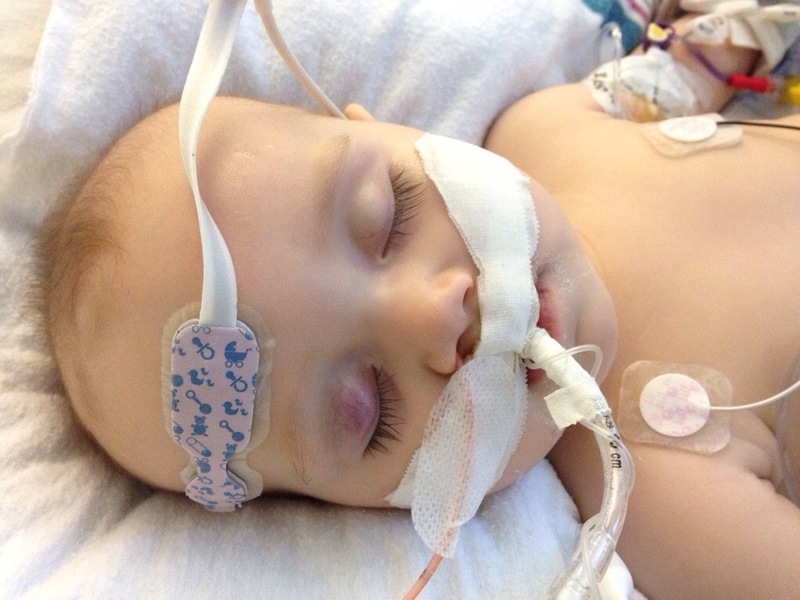 They will wait 24 hours after that before considering taking the breathing tube out again. This was Hana this morning. So hard to read your words and the pain in them. But, I wait anxiously for them everyday and am glad to see the message that there is a new Hana post. They seem like small steps forward. In this arena they giant! I am impressed with her care. I feel hope and confidence that Hana will be well and happy soon!!! I don’t know why it came up anonymous, it’s Auntie Dana. So beautiful! We have a prayer circle going on with my family. You guys are in our thoughts and you are all so amazing and so strong!